TORONTO, ON – The Toronto Fashion Incubator (TFI) toasts its 30th anniversary on March 9th with TFIXXX. The black-tie gala-meets-fashion show is set to attract Canada’s fashion elite and cultural luminaries, while simultaneously kicking off the first ever Toronto Women’s Fashion Week (TWFW). The non-profit organization, established by the City of Toronto in 1987, has inspired over 30 cities around the globe to adopt the incubator concept, including London, Paris, New York and Milan – demonstrating its essential ability to foster world-class design talent. TFIXXX will pay homage to the organization’s rich history and bright future. In addition to creating over 18,000 jobs, TFI has delivered over 4,634 one-on-one consultation hours through its mentorship program and awarded nearly $200,000 in cash prizing since 2003 alone. 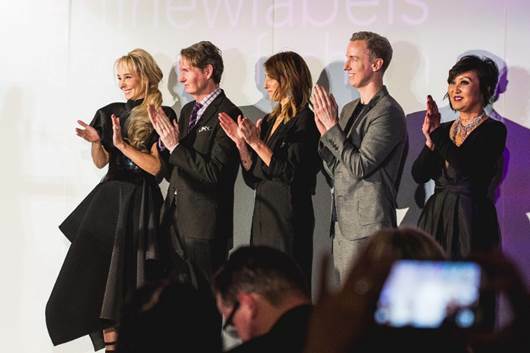 The gala will also incorporate the iconic TFI New Labels Competition and Fashion Show. Now in its 25th year, New Labels will induct one emerging designer into the program’s hall of fame. David Dixon, Smythe, Line Knitwear, Jenny Bird, Greta Constantine, Sid Neigum and Sentaler are among the many talents that boast this title. As the original fashion incubator, TFI is continuously looking for ways to display the principal of innovation upon which it was founded. In 2005, the organization partnered with the City of Toronto and the Fur Council of Canada to present a runway show at New York Fashion Week, while more recent New Labels Competitions have integrated pop culture to debut Barbie and SpongeBob-inspired runway shows. While the finer TFIXXX details await a highly-anticipated reveal, the evening is guaranteed to be a Canadian fashion soirée to remember. TFIXXX will take place at Waterworks at 505 Richmond Street West in Toronto. Tickets are available for purchase here. TFI New Labels® is a prestigious national fashion design competition and exciting runway show developed and managed by the Toronto Fashion Incubator. The competition is open to full-time, professional designers creating contemporary womenswear apparel, who have been in business three years or less and are Canadian citizens or can legally work in Canada. The Toronto Fashion Incubator (TFI) is an award-winning and highly-acclaimed non-profit organization dedicated to supporting and nurturing Canadian fashion designers and entrepreneurs. Established in 1987 as the world’s first official “fashion incubator”, the TFI model has been adopted by cities such as New York, Chicago, London, Paris and Milan. Housed in an 8,000 sq. ft. heritage building at Exhibition Place in Toronto, TFI provides critical support to creative entrepreneurs to develop the business and professional skills they need to thrive and survive. Start-up and advanced community programs include educational seminars on the business of fashion, one-on-one mentoring with industry professionals, exclusive promotional and sales opportunities, and valuable sales, marketing and trend resources.